The Intel Core i7-9700K may seem comparable to the i7-8700K in many ways. However, it can be boosted up to 4.9GHz (albeit on one core only). 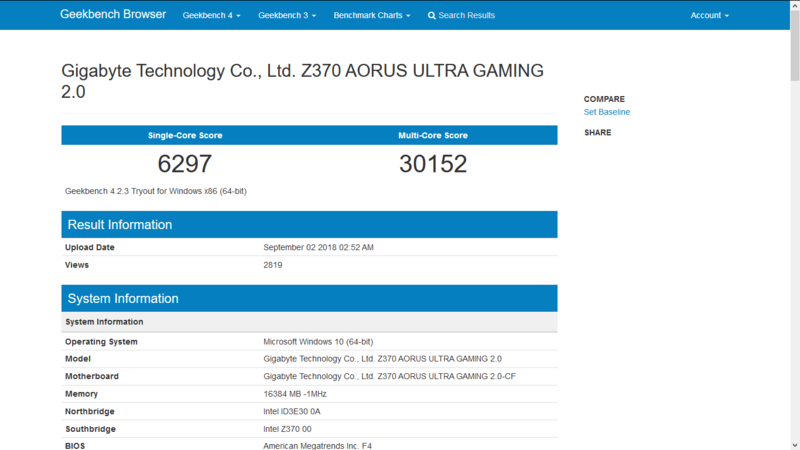 The i7-9700K has also recently exhibited the ability to OC up to 5.3GHz on air and beat the i7-8700K on Geekbench. The Intel Core i7-9700K seems to be a direct refresh of the older i7-8700K processor. On paper, it appears to have few advantages over the older processor. It has a higher core count (8 compared to 6). On the other hand, the i7-8700K has a higher thread count (12 compared to 8), and they share a TDP (95W). The base clock of the i7-9700K is 3.6GHz, whereas the i7-8700K has one of 3.7GHz. The newer chipset does not beat it on 6- or 8-core boost-clocking either; it can only raise 4.6GHz, whereas its predecessor turbo-boosts to 4.7GHz. However, the i7-9700K can boost up to 4.9GHz on one core, whereas the i7-8700K does not have those options. 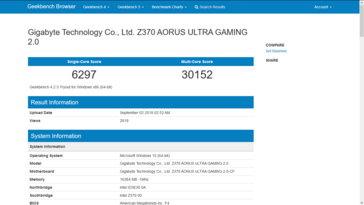 We also now have the i7-9700K’s Geekbench scores to go with these specs. 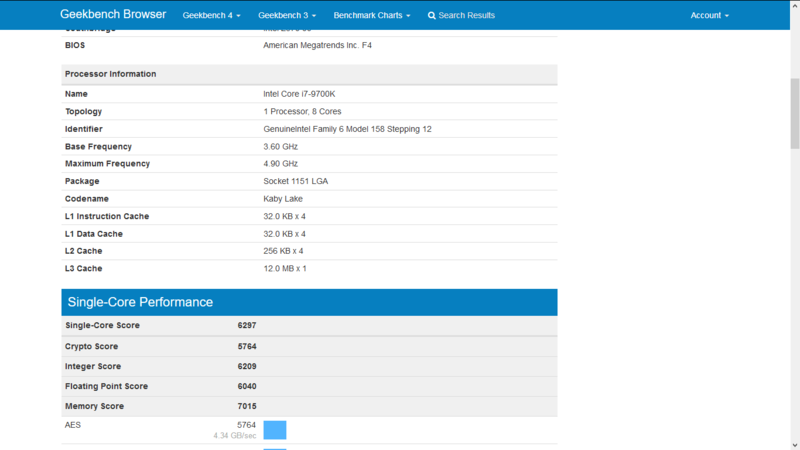 The processor, which was running on stock, got 6297 for a single-core score and 30152 in the multi-core test. This blows the i7-8700K out of the water, and also outdoes AMD's Ryzen 7 2700X in terms of single-core performance. (On the other hand, the AMD competitor does have double the thread-count.) These figures may have helped the i7-9700K in its latest achievement: an overclock to 5.3GHz with an air cooler. According to a recent leak, the processor was teamed with a (fairly conventional) Deepcool GAMMAXX 400 cooler, with which it cracked 5.285GHz at a voltage of 1.215V. This compares favorably with earlier reports of its clocking up to 5.5GHz on water, in which case the voltage was said to be 1.536V. Then again, it should be noted that the i7-9700K used in this overclock was an engineering sample, and the leaker may well have won the chipset lottery on top of that.